... stunning. 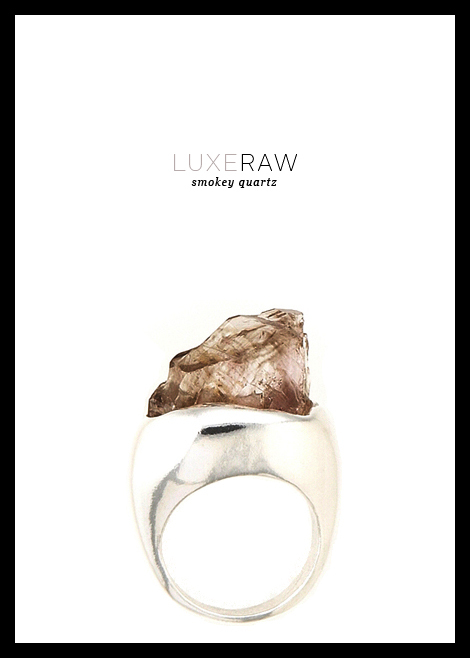 raw smokey quartz ring by cosa fina. oh dear God that is gorgeous! sharing my photography from around the globe. with design and typography sprinkle in between. click to enter email address. peggy wong are copyrighted. image and design layouts are created solely for this blog. kindly link back to the original post if you'd like to use any material. thank you!